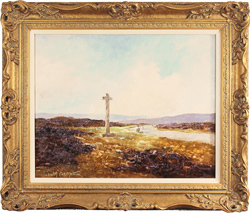 Lewis Creighton’s paintings demonstrate an innate talent for capturing the raw beauty of moorland. His technical use of light and shadow provides simultaneous clarity and complexity, while his almost impasto style of painting gives his work depth and texture. 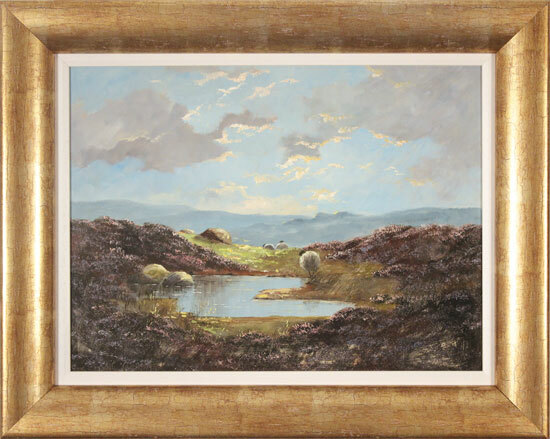 This application of style and technique allowed Creighton to perfectly capture the rugged grace of the North York Moors. His work has been collected by devoted local and international collectors, and can also be found in the public collection of the Scarborough Art Gallery. Read the full Lewis Creighton biography.